I'm enjoying the new job. It's fulfilling than the last one and hopefully with this job I can try and rise to the top. 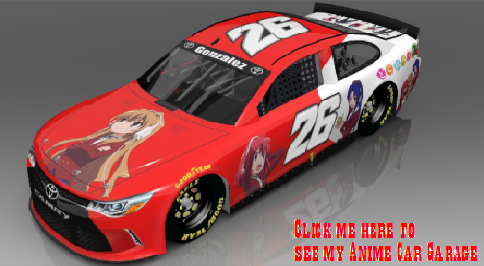 I am a wild fan of Anime. This includes Clannad, Cyber Formula, Haruhi Suzumiya, Toradora, Yu-Gi-Oh, Bakugan Battle Brawlers and Sailor Moon. 02:36 AM - Gonzalez96 changed their status to "I'm feeling really less worth it here." 02:36 AM - Gonzalez96 changed their status to "I'm feeling really less worth it. Unless I get spammed with "
02:35 AM - Gonzalez96 changed their status to "I'm feeling really less worth it. Unless I can't spammed wit"
01:04 AM - Gonzalez96 changed their status to "I'm pretty much useless here even though I try my best." 07:13 PM - Gonzalez96 changed their status to "I'm now back in the Berkshire County!" 06:52 PM - Gonzalez96 changed their status to "Still studying in London!" 09:51 AM - Gonzalez96 changed their status to "Enjoying my new time in London!!!" 04:46 PM - Momogari mentioned Gonzalez96 in post Re: (G) A&M - So You Think You Can Meme? 04:09 PM - Pixiedora mentioned Gonzalez96 in post Guess the Movie Quiz!